After the holidays’ season, the European Parliament is preparing for the upcoming elections which will be held in 2019. For the EU, the next crucial stocktaking of voters’ sentiment will be the 2019 elections for the European Parliament (23-26 May). 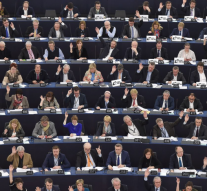 Not only will the EP elections take place after the UK will left the EU (on March 29), leading to a reduction of seats in the EP from currently 751 to 705 and accompanied by a redistributing of 27 seats to members that are currently considered as underrepresented. But the elections could also lead to a significant shift in the majority relations in the European Parliament (EP), following the rise of Eurosceptic and outright anti-European, nationalistic and populist forces across Member States. In this study, we will 1. discuss the driving forces of anti-European populism in Europe and whether there is a specific form of “European” populism; 2. present poll-based calculation of potential changes to the party and group composition in the next EP and what this new balance of power could mean for European policymaking over the next five-year term and beyond; and 3. conclude with a discussion on why this matters, thereby looking at the considerable role of the European Parliament in the EU’s decision-making process. The transformation of the European landscape is not an abrupt disruption that just occurred a few years ago, even though events such as the financial/economic and consecutive migration crisis certainly had an accelerating effect. The composition of the EP has already changed markedly not only during the last years but over the last two decades. While there are various country-specific differences, on the EU level these changes can be broadly summarised as three major trends. — A declining voter turnout — Stronger fragmentation in the political spectrum — Declining vote share of established centrist parties. Voter turnout at the European Parliament elections has followed a continuously declining trend over the last 35 years, falling from 62% in 1979 to only 42.6% in 2014 (chart 3). The drop in election participation rates can be observed for almost all original EU Member States, e.g. in Germany from 66% to 48% and France from 61% to 42%. In the UK, where scepticism towards the EU always has been more pronounced, voter turnout never exceeded 40% (36% in 2014). Only in countries where voting is compulsory such as in Belgium and Luxembourg, did turnout approach 90%. The sharp drop in turnout observed at the 2004 elections also reflects the accession of new Member States, where turnout has mostly been below 30% right from the beginning. The fading interest and absence of more than 50% of the European electorate from the EP elections, in particular in the new Member States, is particularly worrisome for two reasons. As participation in EP elections has always been (substantially) lower than in national elections, this might demonstrate that a major share of voters considers the EP (or their own votes) as less important, despite the broad impact of EU legislation on domestic policies and the increasing role of the EP in the European legislation over the last years. Indeed, almost 50% of Europeans answered in the latest Eurobarometer poll that they feel that their vote does not count in the EU (compared to only 36% for their own countries and with pronounced national differences). While voter turnout in EP elections has continued to decline since the millennium, it was accompanied by another phenomenon – an increasing fragmentation of parties elected into and groups formed in the EU’s legislative body. Of course, this fragmentation is not limited to the EU level but rather mirrors the fragmentation of the political landscape on the national level of EU Member States. The observed loss of lifelong voter loyalty particularly towards large Christian and social democratic centrist parties has been well debated and might to a large extent be a response to the transformation into increasingly liberal and individualist post-industrial societies that took place across Europe in the last decades of the 20th Century. With ideological dividing lines between centre-right and centre-left parties increasingly blurring after the end of the cold war, room for new and often more radical parties was left at the political fringes. Often following a rather sentiment than fact based agenda, many of these parties managed to appeal to parts of the electorate in Europe that increasingly felt left behind (and left alone by centrist parties) in the generally observed rise of prosperity assigned to globalisation, European integration and technological progress. As these developments affect parts of the population across the continent, parties with a pronounced anti-EU, anti-globalisation and antimigration agenda gained in Northern as well as Southern, Eastern as well as Western Europe. The question of the EU’s finances, in particular, has proved to be an important battle field between the EP and the Council. Throughout the years the final deal on the EU budget could only be found on the highest political level, i.e. between the presidents of the three involved institutions, the Commission, the EP and the Council. It is less about the annual budget but about the multi-annual financial framework (MFF). The EP has to approve with a majority of its members the 7-year budget framework which, in turn, is linked to the legislative procedures for the EU spending programmes such as structural and regional policy. In other words it is about policy design and political priorities. Budgetary decisions have never been easy, with the EP usually demanding more funding than the Member States are prepared to offer but the upcoming negotiations on the MFF 2021-2027 promise to be particular thorny – no for two major reason: first, it will be the first MFF without the UK contributing to it as an EU member, aggravating conflicting lines over the volume of the budget. Secondly, presumably more limited resources will increase the tensions between net-contributors and net recipients on the use of funds and whether criteria for eligibility should be introduced. It seems rather unlikely that a political agreement on the next MFF will be reached in this EP term, leaving the negotiations to the newly-elected parliament and possibly new majorities.